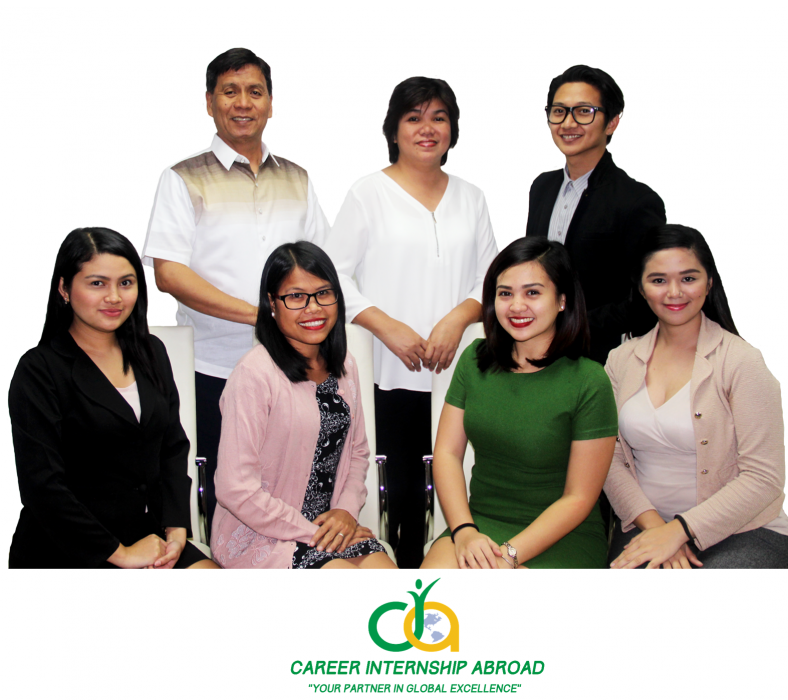 Career Internship Abroad (CIA)was founded in 2008 as world-class educational consultancy firm that creates global internship opportunities for students, fresh graduates, and young professionals. CIA delights with its first-rate ability in providing global exposure, cultural immersion, personality enrichment, and global competitiveness to the Filipino youth through 12-month paid training for fresh graduates and young professionals (Internship and Traineeship Program) in top companies and institutions in the USA. A proud authorized Philippine representative of top J-1 US Visa sponsoring firms for cultural exchange programs. Likewise, it offers also Work & Study Programs for Australia and Canada, which are both pathways to permanent residency. CIA has been recognized by different international regulatory agencies and is affiliated with different educational organizations to ensure that all the participants are protected and secured. It is duly registered with the Securities & Exchange Commission (SEC), a member of the American Chamber of Commerce, the Canadian Chamber of Commerce, and the WYSE Travel Confederation. The CIA Value is encapsulated in its promise of being your partner in global excellence. Commitment: We consider you our partners and not our customers. Partners share the same vision and commit themselves with the same effort towards its realization. To achieve this kind of partnership, commitment plays an important role. We value the trust and confidence provided to us by making sure it is reciprocated and protected. Integrity and transparency are our manifestation of this value. Excellence: We only have one vision for the Filipino youth, the Philippines, and the world: empowerment of the Filipino youth in the global arena. To achieve this vision, we uphold a culture of excellence in all things we do. We value the important aspects of your life which are your time, energy, and resources; thus, we commit to do the right things at the most efficient way possible as your partner in global excellence. Youthful: As we partner with today’s youth, it is important that we remain youthful in our dealingsthrough innovative ideas, adaptability, and resourceful means to meet your varying needs, personalities, and goals.